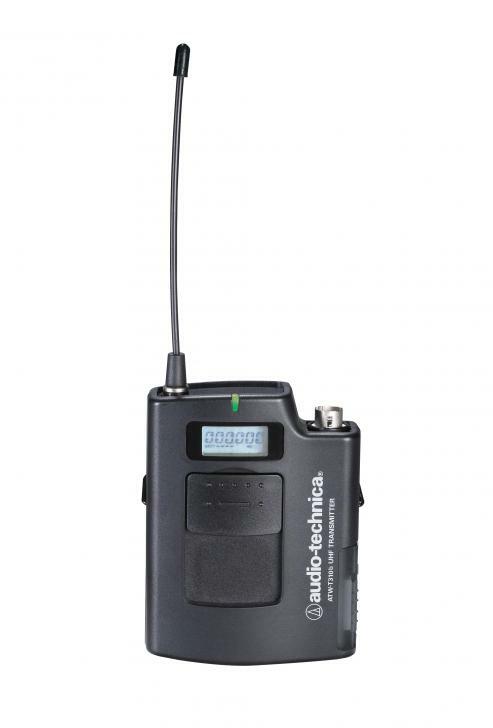 The Audio-Technica ATW-R3100bC True Diversity UHF Wireless Receiver is used in the Audio-Technica 3000 series wireless microphone systems. It features Automatic Frequency Scanning, which selects the best available frequency. True Diversity means that the ATW-R3100bC has two independent receiver sections, and automatically sends the strongest signal of the two to the output at any given moment, greatly reducing the possibility of dropouts. Other features include nine pre-coordinated frequency scan groups to simplify channel selection in a multi-channel system; a high-efficiency compander; 25 kHz frequency spacing, which makes it easier to find open channels in crowded frequency bands; DigitalTone Lock Squelch and Adjustable Receiver Squelch to help keep background noise suppressed when the intended signal isn't present; and a transmitter battery life gauge. Among the rear-panel offerings are unbalanced 1/4" TS and balanced XLR outputs, and an output level control. The back-lit LCD display reveals channel and frequency settings, signal status and transmitter battery status. The receiver also offers a ground lift switch, convenient in situations where bad power feeds result in ground hum and noise on the output stage. The ATW-T310b wireless UniPak? body-pack transmitter has both low and high impedance inputs plus a 5V DC bian connection allowing it to be used with condenser and dynamic microphones, as well as Hi-Z instrument pickups. The locking 4-pin HRS-type audio input connector is recessed to protect the connection from damage. Operating on two standard AA batteries, the transmitter features high and low-level RF output settings. The low-level setting allows two additional hours of bttery life while retaining a strong RF signal link. Soft-touch controls provide convenient access to a variety of functions including: RF power, audio input level, power/mute locks and frequency selection. Each transmitter?s backlit LCD display presents a great deal of setup and operating information clearly and conveniently including battery fuel remaining, mute, and operating frequency. A flashing ?Lo-Batt? alert visually signals the battery life is almost depleted. A dual-colour status LED illuminates green when power is on, and red when the transmitter is muted. Programmable power/mute locks limit the functioning of the transmitter?s power/mute button as desired for particular users and applications. To match the audio input level to the transmitter, a four-position audio input gain setting selected through the function menu is provided. 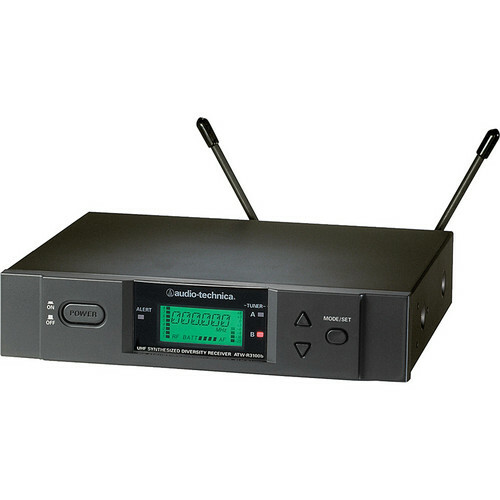 The body-pack transmitter features a safety cover to protect the soft-touch controls from being accidentally activated and a recessed input connector to increase the life of the microphone cable. Constructed of high impact materials, the body-pack transmitter features a field replaceable whip antenna and captive locking battery cover door.